Lawson Rollins is one of the most prominent protagonists of Latin jazz. He gives a new meaning to acoustic guitar music. His solo albums Infinita (2008), Espirito (2010), Elevation (2011), Full Circle (2013) and Traveler (2015) are contemporary witnesses of a stunning career. 3 Minutes to Midnight is a new stellar release in the music history of this genre. Valuable companions on this recording are Dominic Camardella (piano, Rhodes and Hammond organ), Dave Bryant (drums, percussion), Randy Tico (bass), Charlie Bisharat (violin, viola), Stephen Duros (drum programming) and Forrest Marquisee (pedal steel). The set opens with the title song, on which Lawson sounds similar to an evolution of Django Reinhardt. The uplifting Light the Way rises the mood with hand clapping, melodic drums and Lawson’s acoustic guitar elating in its transgression like a lark in springtime. Three minutes to midnight. Time is lapsing. What would you do with the final moments of your day? 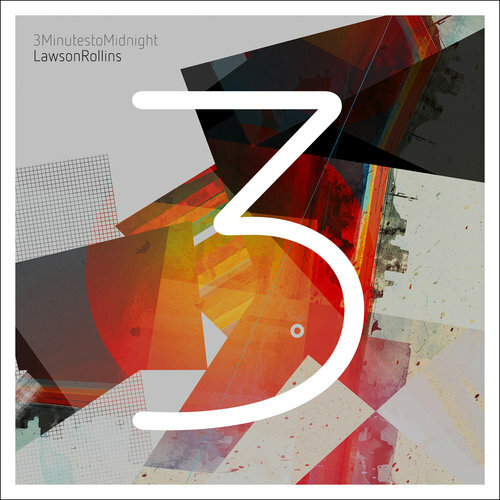 Award-winning world beat guitarist Lawson Rollins pondered that question as he entered the recording studio to craft his seventh album, 3 Minutes to Midnight, which will be released on January 20 via the Infinita Records label. Focusing on “the urgency of the moment, the exhilaration of the speed of sound, the poignancy of the remains of the day and the mystical power of the number three,” Rollins wrote a dozen multicultural compositions – all in the three minute range and illuminated by his prodigious fingerstyle guitar play. The recording is stripped down, punchy and concise, a radical departure for the Billboard chart-topping artist known for creating lavishly produced and elaborately-constructed tracks that are at least twice as long. “I really made an effort to pare down my musical flights of fancy and focus on the essentials instead of diverging into various plots and subplots within the song structure. The songs have an urgent, succinct quality and are unencumbered by elaborate instrumentation. This is the first time I came up with the title and overall concept early on in the process. I don’t know if it’s a reaction to the times we live in, with our shrinking bandwidth for complexity and desire for clarity, or if I just wanted to be as impactful and expressive as I could across a range of emotions – from exciting, passionate and bursting with energy to sad, contemplative and meditative,” said Rollins, who will introduce the new material when the sultry first single, “Sway,” is serviced to radio programmers for airplay ahead of the album’s release date. 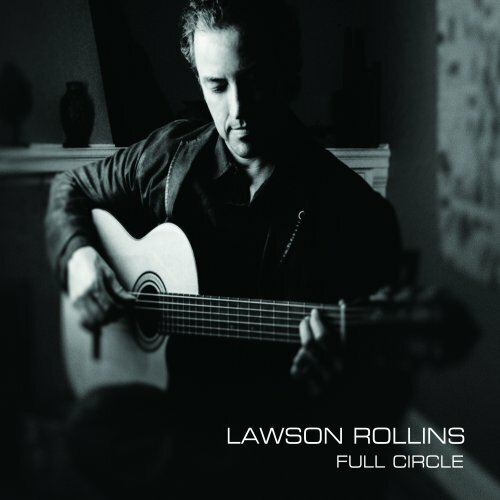 Acoustic guitar and Latin jazz, that embodies Lawson Rollins. His solo albums Infinita (2008), Espirito (2010), Elevation (2011) and Full Circle (2013) are all about this instrument. His new album Traveler (2015) makes no difference. Grammy-winning violinists Mads Tolling and Charlie Bisharat, Randy Tico (bass), Dave Bryant (drums & percussion) and Cameron Stone (cello) form the core of the creative team. Big Bad Voodoo Daddy members Scotty Morris, Joshua Levy and Karl Hunter drop into the recording as brass addition. Rollins radiates with the first song Traveler so much happiness, that one is immediately infected by this joy of life. Traveling is fun, while making music the greatest. In the full Rollins spills over on Barcelona Express. A virtuoso of the Spanish guitar, he thrilled with his fire. The French Savoir Vivre is reflected at Cafe Paris. Many people travel from an encapsulated distance, staying at posh brand name hotels and dining under the golden arches while others prefer to explore by blending amongst the natives for a more immersive and organic experience of the actual sights and sounds of a culture. Award-winning guitarist Lawson Rollins lives by the latter philosophy, taking his guitar with him to view and interpret his global journeys. Writing twelve expansive compositions that are wordless diary entries encapsulating his travels, Rollins’s virtuoso guitar parlance speaks a universal language on tales of exhilarating adventure, intriguing mystery and enticing romance on his fifth album, Traveler, which will be released by his Infinita Records label and distributed by Baja/TSR Records on February 17. 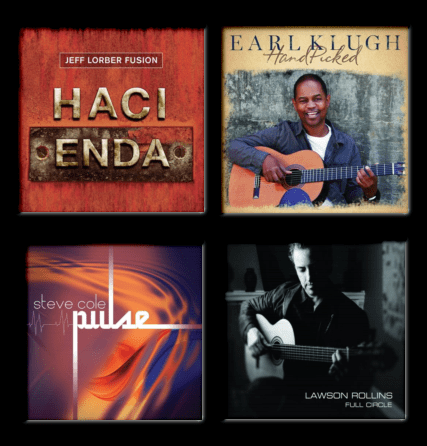 I’m almost embarrassed to tell you how long I’ve been listening – and enjoying – music from the Jeff Lorber Fusion in its various lineups. It’s always sounded different and distinctive to my ears. When Kenny G went off to do something altogether smoother, Jeff kept the groove alive. On this latest record – which is in some measure a shout out to the legendary dance club of the same name in Manchester, England, the funk is still much in evidence. The band’s name is ‘Fusion’ though and you jazz lovers will enjoy how Jeff stretches out on the opener “Corinaldo”. Eric Marienthal, unusually on tenor sax, sounds fantastic. Guitarist Larry Koonse will similarly delight fans of precise finger work on the busy “Solar Wind”. Did you expect to hear a Frank Zappa song on here? Well, “King Kong” is the album’s only cover and the record’s fusion credentials go up a notch with the involvement of violinist Jean-Luc Ponty. In my head, I made a note ‘sounds like Return to Forever on great form’. What else can I say? There are mellower moments on “The Steppe”, which features a lovely acoustic piano sound and a sound very reminiscent of Yellowjackets – with Jimmy Haslip on bass it’s not such a surprise. “Playa del Falco” cleverly switches time signatures and the interplay between electric piano and soprano sax is particularly enjoyable. 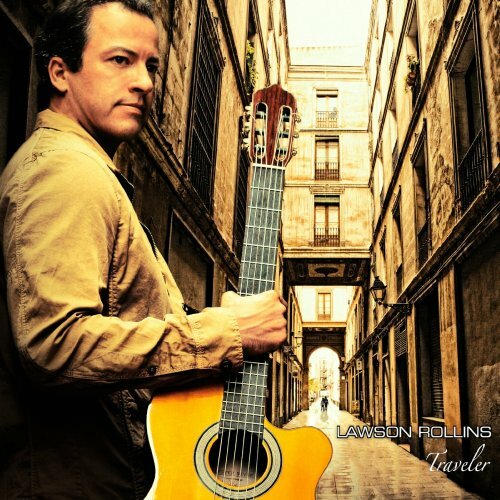 As acoustic guitarist Lawson Rollins has a special affinity for Latin jazz. He has already acted this passion on his solo albums Infinita (2008), Espirito (2010) and Elevation (2011). That with so much success that now follows his fourth album Full Circle (2013). On his new album Lawson is accompanied by Dominic Carmadella (keyboards, piano), Dave Bryants (drums, percussion), Randy Tico (bass), Richard Hardy (clarinet, sax and flute), Charlie Bisharatz (violin) and Cameron Stone (cello). Lawson has written all compositions, which corresponds to his basic attitude.